 Clinician Scientist, Douglas Mental Health University Institute. My research encompasses both the Psychosis as well as the Mental Health and Society platforms. 9. Béchard-Evans, L., Schmitz, N., Abadi, S., Joober; R., King, S., Malla, A. * (2007) Determinants of help-seeking and system related components of delay in the treatment of first-episode psychosis. Schizophrenia Research, 96(1-3): 206-14. 10. Iyer; S.N; Boekestyn, L; Cassidy, C; Joober; R; Malla, A. * (2008) Signs and symptoms in the pre-psychotic phase: description and implications for diagnostic trajectories. Psychological Medicine, 38(8): 1147 -56. 11. Cassidy, C.; Norman, R.; Manchanda, R.; Schmitz, N.; Malla, A. * (2009).Testing definitions of symptom remission in first episode psychosis for prediction of functional outcome at 2 years; Schizophrenia Bulletin, Schizophrenia Bulletin, (PMID: 19321629). 12. Anderson, K.K., Fuhrer, R., Malla, A.K. * (2010) The Pathways to Mental Health Care of First-Episode Psychosis Patients: A Systematic Review. Psychological Medicine. 13. Béchard-Evans, L., Iyer, S., Lepage, M., Joober, R. and Malla, A. (2009). Investigating cognitive deficits and symptomatology across pre-morbid adjustment patterns in first-episode psychosis. Psychological Medicine, (PMID: 19732482). 14. Bourque, F., van der Ven, E., Malla, A. * (2010). A Meta-analysis of the Risk for Psychotic Disorders among First and Second-Generation Immigrants. Psychological Medicine, (PMID: 20663257). 15. Malla, A.K., Bodnar, M., Joober, R., Lepage, M. (2011) Duration of Untreated Psychosis is associated with Orbital-frontal Grey Matter Volume Reductions in First Episode Psychosis. Schizophrenia Research. (PMID: 21059482). 16. Windell, D., Norman, R., Malla, A. * (2012). The personal meaning of recovery among individuals treated for a first episode of psychosis. Psychiatric Services, 63(6), 548-53. (PMID: 25549829). 17. Jordan, G., Lutgens, D., Joober, R., LePage, M., Iyer, S., Malla, A. * (2014). The relative contribution of cognition and symptomatic remission to functional outcome following treatment of a first episode psychosis. Journal of Clinical Psychiatry, 75(6), e566-72. (PMID: 25004197). 18. Malla, A., Jordan, G., Joober, R., Schmitz, N., Norman, R., Brown, T., Goldberg, K., Loohuis, H., Vracotas, N., Rochford, J. (2014). A Controlled Evaluation of a Targeted Early Case Detection Intervention for Reducing Delay in treatment of First Episode Psychosis. Social Psychiatry and Psychiatric Epidemiology. (PMID: 24902532). 19. Malla, A; Joober, R; Garcia, A (2015). 'Mental illness is like any other medical illness: A critical examination of the statement and its impact on patient care and society'. J Psychiatry Neuroscience, (40), 147-150. Dr. Malla is a Professor of Psychiatry at McGill University, where he holds a Tier 1 Canada Research Chair in Early Psychosis, with a cross appointment in Department of Epidemiology and Biostatistics. Until July 2014, he has been the founding Director of the Prevention and Early intervention Program for Psychoses (PEPP-Montréal) at the Douglas Mental Health University Institute. He is currently an editor of the Journal of Social Psychiatry and Psychiatric Epidemiology. His clinical and research interests have been primarily related to pursuing the goal of understanding neurobiological, psychosocial and cross-cultural aspects of multidimensional outcome in psychotic disorders, with special emphasis on early phase psychosis and improving outcome through early intervention. He has conducted multidisciplinary research in schizophrenia and early psychosis, concentrating primarily on improving outcome. He has published more than 260 peer-reviewed articles, held numerous peer reviewed research grants from CIHR and NIH, supervised many graduate students, residents and fellows, and has been an advisor on program development and research in early intervention in psychotic disorders in several countries. He has recently been awarded a $25M grant as the lead investigator for a national research project on transformation of youth mental health services in Canada, funded jointly by CIHR and Graham Boekch Foundation under the Strategies for Patient Oriented Research (SPOR). He is also leading several global mental health projects in India, including one in Kashmir. Drs Ridha Joober; Martin Lepage; Srividya Iyer; Jai Shah; Shalini Lal; Patricia Boksa; Marita Pruessner; Norbert Schmitz; Rebecca Fuhrer (all part of research in PEPP and ACCESS) plus all members of research staff at PEPP-Montréal (especially Sherezad Abadi coordinator) and at ACCESS. Seitz R, Vracotas N, Bechard-Evans L, King S, Abadi S, Joober R, et al. The Trier Social Stress Test in first episode psychosis patients: Impact of perceived stress, protective factors and childhood trauma. Psychoneuroendocrinology. 2019. Pope MA, Jordan G, Venkataraman S, Malla AK, Iyer SN. "Everyone Has a Role": Perspectives of Service Users With First-Episode Psychosis, Family Caregivers, Treatment Providers, and Policymakers on Responsibility for Supporting Individuals With Mental Health Problems. Qual Health Res. 2018:1049732318812422. Pruessner M, King S, Vracotas N, Abadi S, Iyer SN, Malla AK, et al. Gender differences in childhood trauma in first episode psychosis: Association with symptom severity over two years. Schizophr Res. 2018. Pope MA, Malla AK, Iyer SN. Who should be responsible for supporting individuals with mental health problems? A critical literature review. Int J Soc Psychiatry. 2018;64(3):293-302. Jordan G, MacDonald K, Pope MA, Schorr E, Malla AK, Iyer SN. Positive Changes Experienced After a First Episode of Psychosis: A Systematic Review. Psychiatr Serv. 2018;69(1):84-99. Lal S, Malla A, Marandola G, Thériault J, Tibbo P, Manchanda R, et al. "Worried about relapse": Family members' experiences and perspectives of relapse in first-episode psychosis. Early Interv Psychiatry. 2017. Shah JL, Crawford A, Mustafa SS, Iyer SN, Joober R, Malla AK. Is the Clinical High-Risk State a Valid Concept? Retrospective Examination in a First-Episode Psychosis Sample. Psychiatr Serv. 2017;68(10):1046-1052. Malla A, de Bonneville M, Shah JL, Jordan G, Pruessner M, Faridi K, et al. Outcome in patients converting to psychosis following a treated clinical high risk state. Early Interv Psychiatry. 2017. Guimond S, Lepage M, Benoit A, Charbonneau G, Hawco C, Malla A, et al. Recollection rejection of new items in individuals with first-episode psychosis. J Abnorm Psychol. 2016;125(1):104-13. Malla A, Iyer SN, McGorry P, Cannon M, Coughlan H, Singh S, et al. From early intervention in psychosis to youth mental health reform: a review of the evolution and transformation of mental health services for young people. Soc Psychiatry Psychiatr Epidemiol. 2016;51(3):319-26. Veru F, Jordan G, Joober R, Malla A, Iyer SN. Adolescent vs. adult onset of a first episode psychosis: Impact on remission of positive and negative symptoms. Schizophr Res. 2016;174(1-3):183-8. Jordan G, Pope M, Lambrou A, Malla A, Iyer SN. Post-traumatic growth following a first episode of psychosis: a scoping review. Early Interv Psychiatry. 2016. Malla A, Mustafa S, Rho A, Abadi S, Lepage M, Joober R. Therapeutic effectiveness and tolerability of aripiprazole as initial choice of treatment in first episode psychosis in an early intervention service: A one-year outcome study. Schizophr Res. 2016;174(1-3):120-5. Nolin M, Malla A, Tibbo P, Norman R, Abdel-Baki A. Early Intervention for Psychosis in Canada: What Is the State of Affairs? Can J Psychiatry. 2016;61(3):186-94. Jordan G, Malla A, Iyer SN. Posttraumatic growth following a first episode of psychosis: a mixed methods research protocol using a convergent design. BMC Psychiatry. 2016;16:262. Makowski C, Bodnar M, Malla A, Joober R, Lepage M. Age-related cortical thickness trajectories in first episode psychosis patients presenting with early persistent negative symptoms. NPJ Schizophr. 2016;2:16029. Malla A, Ota A, Nagamizu K, Perry P, Weiller E, Baker RA. The effect of brexpiprazole in adult outpatients with early-episode schizophrenia: an exploratory study. Int Clin Psychopharmacol. 2016;31(6):307-14. Azar M, Pruessner M, Baer LH, Iyer SN, Malla A, Lepage M. A study on negative and depressive symptom prevalence in individuals at ultra-high risk for psychosis. Early Interv Psychiatry. 2016. Bodnar M, Malla A, Makowski C, M Chakravarty M, Joober R, Lepage M. The effect of second-generation antipsychotics on hippocampal volume in first episode of psychosis: longitudinal study. BJPsych Open. 2016;2(2):139-146. Lal S, Malla A. Service Engagement in First-Episode Psychosis: Current Issues and Future Directions. Can J Psychiatry. 2015;60(8):341-5. Hovington CL, Bodnar M, M Chakravarty M, Joober R, Malla A, Lepage M. Investigation of white matter abnormalities in first episode psychosis patients with persistent negative symptoms. Psychiatry Res. 2015;233(3):402-8. Buchy L, Hawco C, Joober R, Malla A, Lepage M. Cognitive insight in first-episode schizophrenia: further evidence for a role of the ventrolateral prefrontal cortex. Schizophr Res. 2015;166(1-3):65-8. Lutgens D, Iyer SN, Joober R, Brown TG, Norman R, Latimer E, et al. A five-year randomized parallel and blinded clinical trial of an extended specialized early intervention vs. regular care in the early phase of psychotic disorders: study protocol. BMC Psychiatry. 2015;15:22. Hawco C, Buchy L, Bodnar M, Izadi S, Dell'elce J, Messina K, et al. Source retrieval is not properly differentiated from object retrieval in early schizophrenia: an fMRI study using virtual reality. Neuroimage Clin. 2015;7:336-46.